We believe people should be connected in real life more efficient than they are today. ​Icebreak empowers poeple to identify others around them in reality, understand them and start a conversation in real-time. Empower user to connect with each within sight distance in real-life. 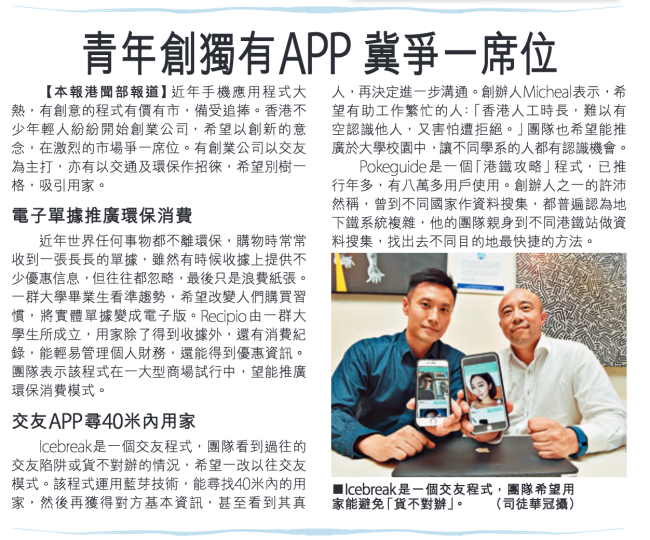 ​Backed by Hong Kong Science Park incubation program.